This famous brown four-seater first appeared on our screens back in 1989 and has subsequently survived 26 years of chaos and mayhem. If you remember correctly it originally belonged to their Christian neighbour Ned Flanders who disposed of it outside his home. 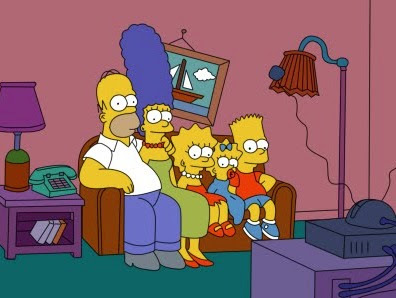 Homer saw an opportunity for a free sofa and it has resided in the Simpson living room ever since. Love it or hate it, you can’t deny the cultural impact Friends left after its decade long run. 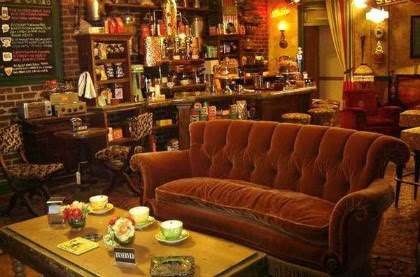 One of the most iconic elements of the show was their local Manhattan coffeehouse ‘Central Perk’ and the orange mohair sofa that so frequently brought the characters together. A bit of TV trivia for you – this gorgeous Victorian style sofa was originally found unloved in a Warner Bros basement before being salvaged for some very famous bottoms to sit on! The conceptual origin behind Mastermind and its iconic black leather chair is actually rather sinister. Bill Wright who founded the show in 1972 drew inspiration from his traumatic experience as a POW in World War II. 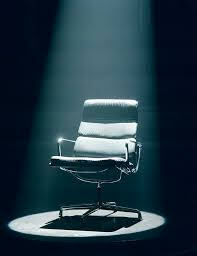 The notion of being interrogated in the spotlight had distinct parallels to his treatment by the Gestapo thus heightening the pressure on contestants to answer questions. Despite being axed by the BBC in 1997, the show once again returned to our screens in 2003 with the leather chair in tow. Known as ‘the diary room chair’, the Big Brother chair has become an icon of the show and has featured in many hours of addictive tv viewing. This famous seat has been the focus of tittle tattle and drama for well over a decade now. What have we missed? Let us know on Facebook and Twitter. Get Your Bespoke and Reupholster Orders In Soon!